2917 Kingsfield Dr, Virginia Beach, VA 23456 (#10242814) :: Abbitt Realty Co.
New Community just min from Oceanfront in highly sought-after School district. 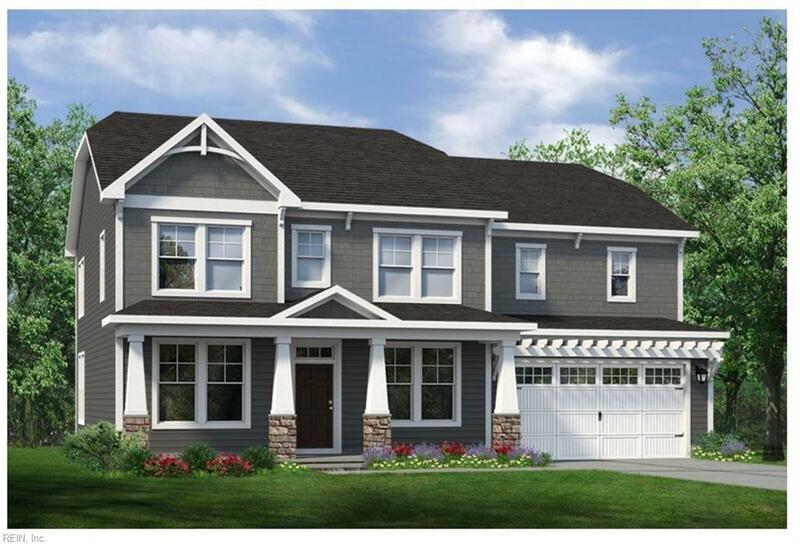 "The Roseleigh" features open living w/ traditional layout, Formal Living & Dining Room. Spacious Eat-in Kitchen w/ pantry, Custom 42" Cabinets paired w/ quartz counter tops & Gourmet Stainless Steel Appliance Appliance pkg. Center island offers space for storage & meal prep. Breakfast Nook leads to rear covered porch, open view of Great Room w/ Stone Gas Fireplace. First floor Guest Suite w/ Full bath next door. Second floor beds include exquisite Master Suite with Tray ceiling, 2 walk in closets & En-suite bath. Master Bath boasts ceramic tile floor, double bowl vanity, walk in shower w/ ceramic tile walls, 2 seats, 2 shower heads, semi-frameless door. Also featured on Second Floor you have additional 4 Beds, and 2 full baths. Builder Incentives & Closing Cost assistance available w/ use of Builder's preferred lender. House will be completed & ready to Welcome You Home in less than 90 days!